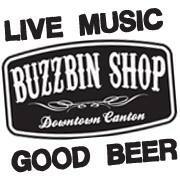 Theresa Göttl Brightman, Mary A. Turzillo and I will be the featured poets Thursday 21 April 2016 (7 to 9 pm) at Buzzbin Art & Music Shop, 339 Cleveland Ave NW in Canton, Ohio. This event is part of a diverse series of National Poetry Month happenings organized by Writing Knights. Musical guest Tori Scwejk will also perform. Kansas City Poetry Throwdown 2016: April 15, 16, 17th! Click here for more info on Facebook. I'm thrilled to be a part of this - and it'll be my first ever trip across the mighty Mississip. Heck, it'll be my first trek west of Auburn, Indiana. I wanted to post a longer blog about it, but this has been a crazy busy day, and week, and month. But I will mention that four Crisis Chronicles Press authors will be among the dozens of featured poets from across the country. And I'll be taking a bunch of books, including the 9 new titles we've published so far this year. More soon.... Hope to see you there! 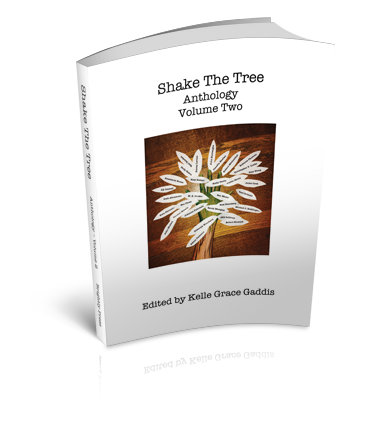 I'm thrilled that six of my poems appear in some mighty fine company in Shake the Tree Volume Two, a new anthology edited by Kelle Grace Gaddis and published by Brightly Press. The other contributors are Katherine Sullivan, CA Conrad, Risa Denenberg, Stacey Levine, Deborah Woodard, Katy Bohinc, Ben Fama, Christopher P. Locke, Scott Driscoll, Ewa Chrusciel, Michael J. Seidlinger, Sarah Mangold, Joanna Furhman, Hedy Habra, Juliet Cook, John Burroughs, Jane Wong, John Mullen, Anastacia Renee, Rebecca Chamaa, Seth Abramson, Claudia Keelan, Adam Tedesco, Kelly Davio, Carmel Reid Mawle, Ben Mazer, Robert Mittenthal, Justin Sirois, Raul Sanchez, Robert Mustard, and M.E. Parker. My poems in the book are "John Cage Engaged and Uncaged," "Statuesque," "Pullet." "Mountain Mist," "Low Kaye Shun" and "Land." Get Shake the Tree Volume Two for only $15 at brightlypress.com/products/shake-the-tree-volume-two. Crisis Chronicles Press is very pleased to announce the release of God Save Your Mad Parade by Austen Roye, a thirty-three piece collection of poetry, both narrative and otherwise, depicting the moments comprising a world far too evolved for its own good. God Save Your Mad Parade is 60 pages, paperback, available for only $10 from Crisis Chronicles Press, 3344 W. 105th Street #4, Cleveland, Ohio 44111 USA. Officially published 6 April 2016. Austen Roye is a writer and musician from Cleburne, Texas. 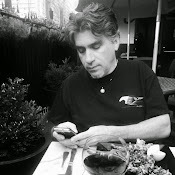 He has previously published a wide range of work in numerous literary magazines and has recently begun work on his next poetry collection, as well as a novel. In recent years he has relocated to Denton, Texas, where he lives with his girlfriend and a blue-eyed, food-thieving, lovably lazy catahoula/lab mix named Reggie. 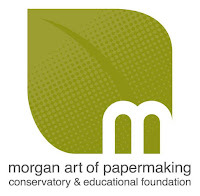 My next reading is this Friday (7:30 p.m.) at The Morgan Conservatory (a wonderful venue) in the heart of Cleveland. But the best reasons for you to go will be a multi-media poetry presentation by Dan Smith and readings by (all the way from the Toledo area) Leonard Kress and the newly-named Poet Laureate of Cleveland Heights, Christine Howey, plus art, refreshments, books and community. Thanks to Christopher Bowen of Burning River for drawing together this soiree.